Quit: ESC and then Enter. If you're having trouble lowering the resolution, start the game in windowed mode in your desired resolution, and ALT + TAB in to fullscreen. Honestly one of the best horror games I've ever played. Thank you! That's some high praise indeed! O ne of the most unsettling horror experiences in a while. Well done! Cool I like it! I Was Played Steam but That's Cool! With this and OK/NORMAL, 98DEMAKE has a knack for putting together a deeply unsettling atmosphere. Highly recommended. Yup. I'm currently working on a longer continuation for this one! That was really good! Nice job on that! Nicely done game. Great audio horror. The only problem I had was it's not longer! Abrupt ending but the playthrough itself makes it worth it. Honestly, the most amazing found footage type game I've ever played. Photorealistic style + the unobtrusive camera filter really makes this great. I hope you continue to take advantage of this style to create a fully fledged game. I love this. Here is my playthrough on Twitch. Preeeetty creepy. I can dig it. This was such a cool horror experience! The VHS filter truly looked awesome and definitely added to the dark and terrifying atmosphere! Awesome little game, I didn't really read any comments before playing so when I launched it, I stared for a minute thinking it was real? Haha, those 5 Minutes had me drawn in, I couldn't figure out what was happening but then I was like Oh S**T.. Love the atmophere and visuals, very impressive. Here's the full playthrough with no commentary. Have a great day, can't wait to see what else you plan to release! Really like the movement and atmosphere feels very polished, was wondering how you achieved the camera effect in the engine? it really makes things look photo realistic. I know I'm late to the party with this, but I enjoyed my time with it. It definitely feels like a part of a larger experience, quite similarly to how I felt about the RE7 guest house intro. My main "complaint" would be that nothing was really interactable. Even if it had no effect on the story at all, it would have been nice to fiddle with things to fill up time instead of waiting around. Anyways, I'd love to see more of your work in the future, keep it up! P.S. Is it just a coincidence that this is set right after The Blair Witch? I don't think the stories are linked or anything, but the date is so close it seems intentional. Friend and I really enjoyed this little experiment, hope to see more similar (and longer?) games from you. Real Short, But I really like this concept ! Waow... That was really something. I'm actually at a loss for words. 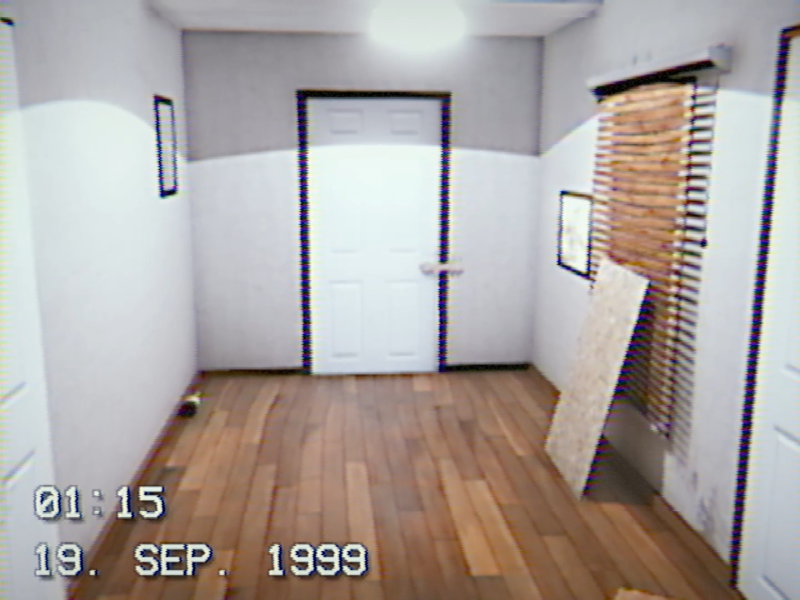 The visuals, the camera movement, the sounds and the music; it all just created a really unsettling mood, that I haven't experienced in a long time. 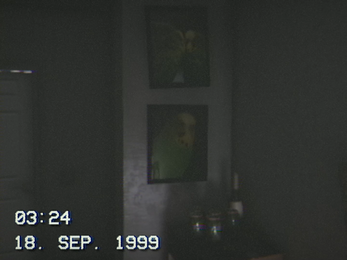 I really hope that you will dabble a bit more with this "found footage" vhs-like visual because you nailed it. What a gem you have created here. Thank you for playing. Will definitely dabble more in to this concept! Super atmospheric. 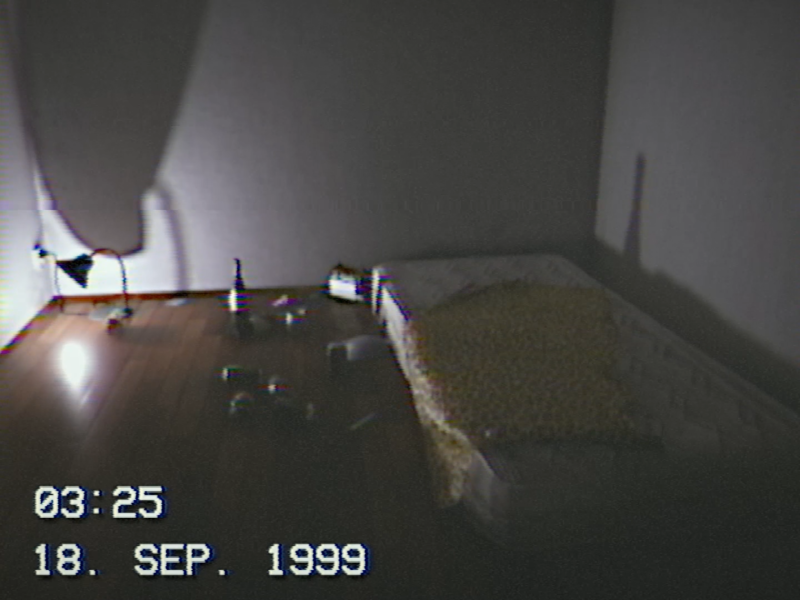 The VHS effects and aspect ratio made the whole feel of the game a lot more interesting. Hey! Do you remember that I said you the Linux version does not work properly? Can I get the newest compiled version and test it again? Now I have the newest Debian version, I can test it also on Intel or AMD graphics. And.... please compile the game for 64-bit machine if you can, maybe there was a problem here. Really Interesting concept, also chilling experience. 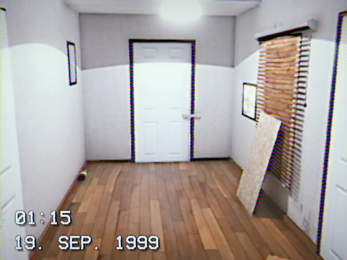 Looks so good that I was almost convinced that it was real footage.